^ Opened up a 4 GB file. Editing/saving changes was possible; albeit saving was little slow the first time - after that saving is instantaneous. I am even able fill parts with random data, thus manually destroying the file. I haven't found anything else that could do such a thing. Notepad++, and others choke on such a huge file. 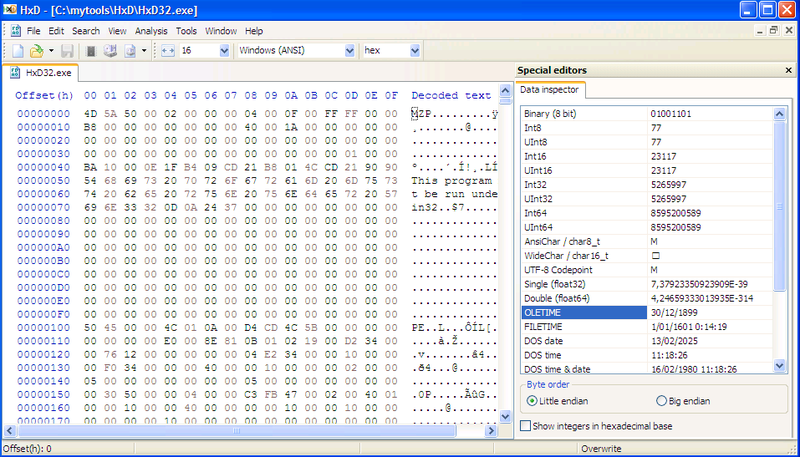 I know there's other hex editors but this one satisfies. No better editor for viewing and editing large hex files. Looks really good. Time for XVI32 to retire ?